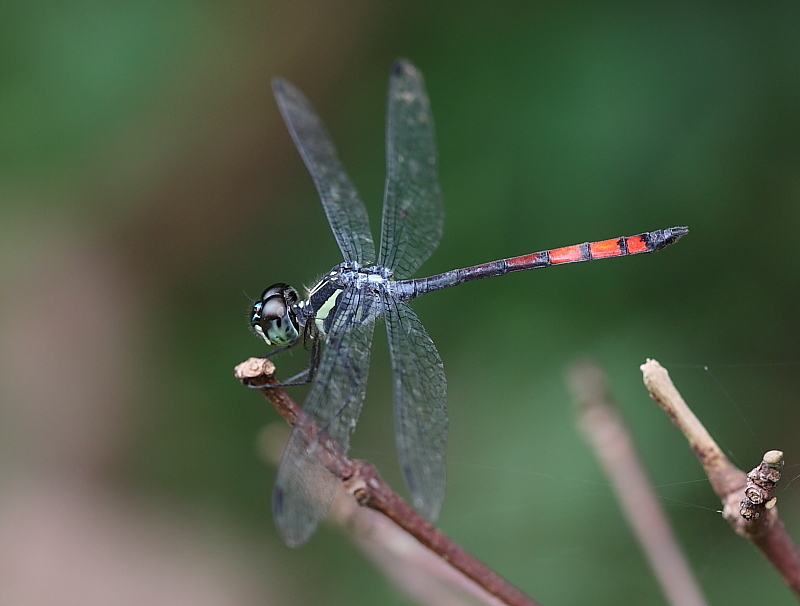 This dragonfly is a smaller “grenadier”species, relatively uncommon, and inhibits swampy forests. There are yellow bands on the sides of the thorax. 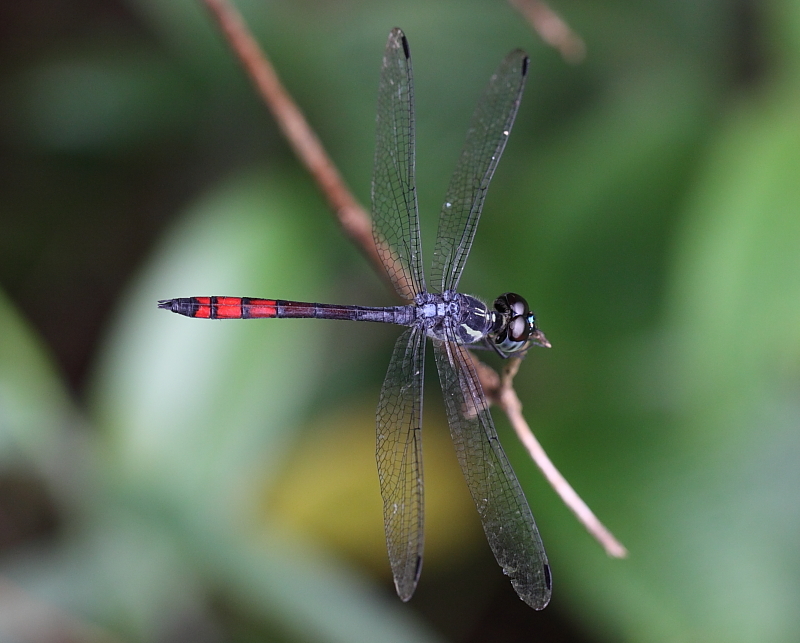 The abdomen is thin and narrow, spear-shape in appearance, segments 6-8 are red, 9-10 are black. Females are similar in thoracic markings. 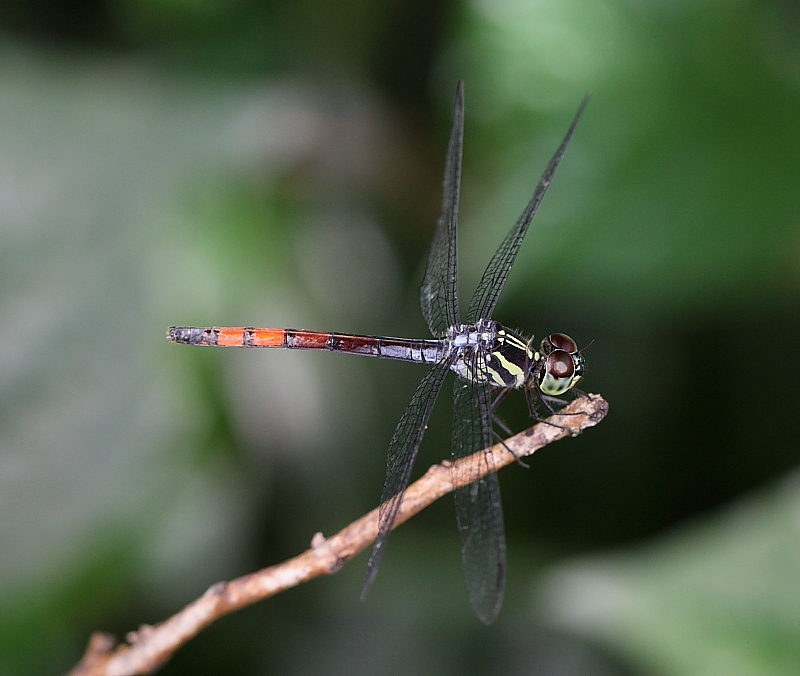 Young males perch for long period on twigs over shallow leafy-forest pools.